I have been planning this project for 10 months! January I was putting away last Christmas’s decorations. While putting things away, I found a wire metal ornament tree. I forgot I had. I hadn’t used it in years. It never looked good decorated, in my opinion. 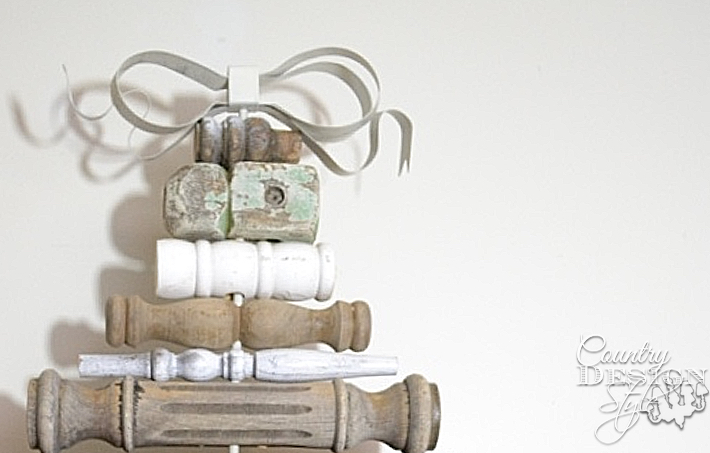 One year I tied ribbons to ornaments…ugh too busy. Another year I clipped Christmas cards on the scrolls…ugh too cluttered. The next year I put in back in the box and forgot about it. We moved the box to two houses without knowing what was inside! Have you done that? Fourteen years later I opened the box and found inspiration. But it was January and had to wait 10 months to share. Here’s wire Christmas tree sitting on the remade organ mantel. The wire pieces hook on the stem of the tree. My plan is to take them off and remove the hooks. That was easy with wire clippers. I spend around 45 minutes working outside with little Bella, the DIY dog. 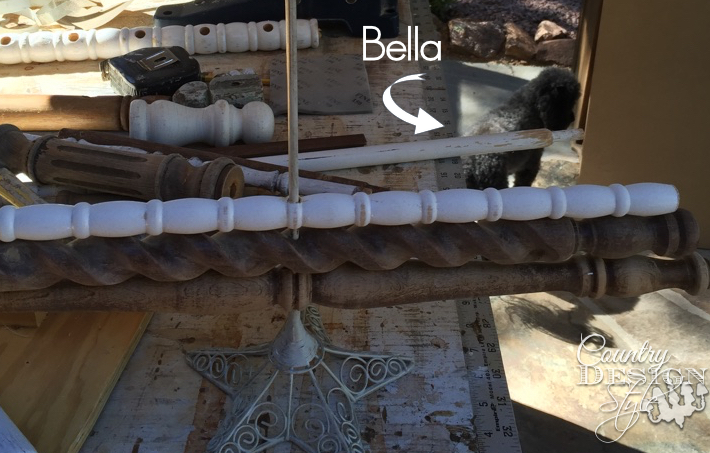 I pulled out old spindles from the workshop and lined them up by size. To drill a hole about 1/4 inch in a round spindle I drill a small pilot hole first. This keeps the tip of the bit from sliding off the round spindle. 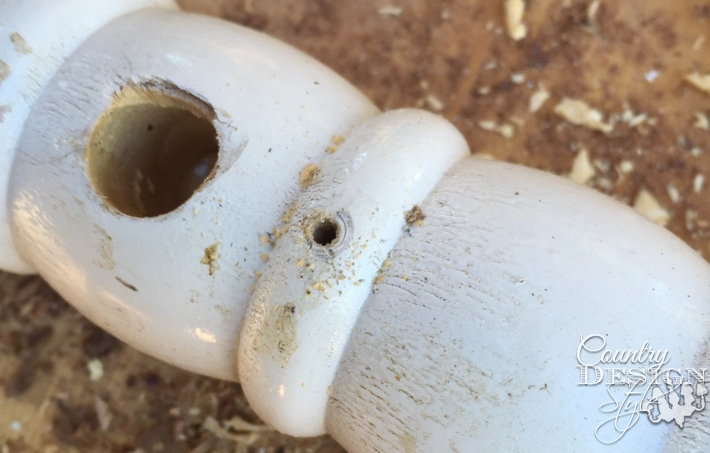 The large hole on the left above is where another spindle was inserted. I think this spindle was from an old crib. Some spindles I cut to size. I decided to spray a creamy white on the wire tree. It seemed dated with the gold over the white. I’m not a ribbon and bows kind of girl and almost didn’t spray the metal ribbon. 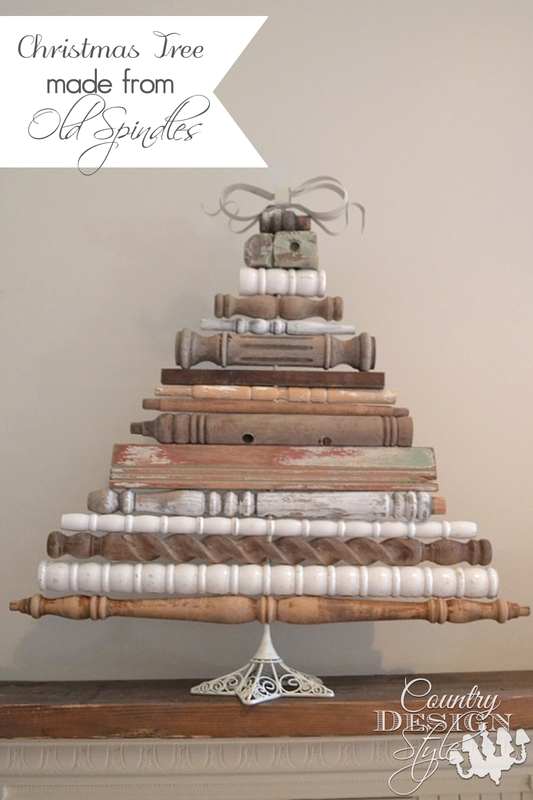 The finished Christmas Tree with Spindles! 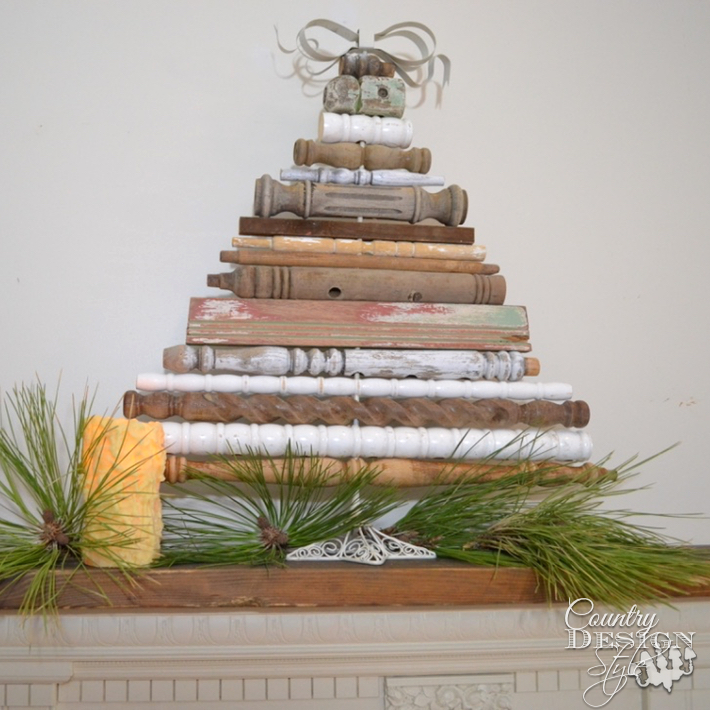 The Christmas tree with spindles is sitting on the faux mantel. 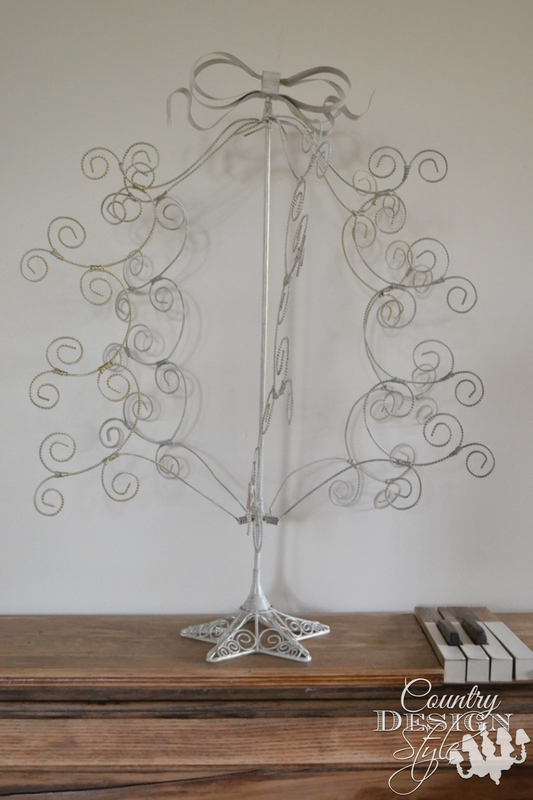 In January when I found this wire tree, I put it in a dresser drawer in the guest room. Then…because I’m old…I added a reminder in my phone for November. The reminder went off a few days ago. I had even typed in where I stashed the wire tree. Lol! Oh, the joy of old age! But otherwise, I’m sure I would still be looking for the wire tree! I’m sure he meant it’s November and we have the spindle tree on display for two months! For fun, I spun the spindles around! 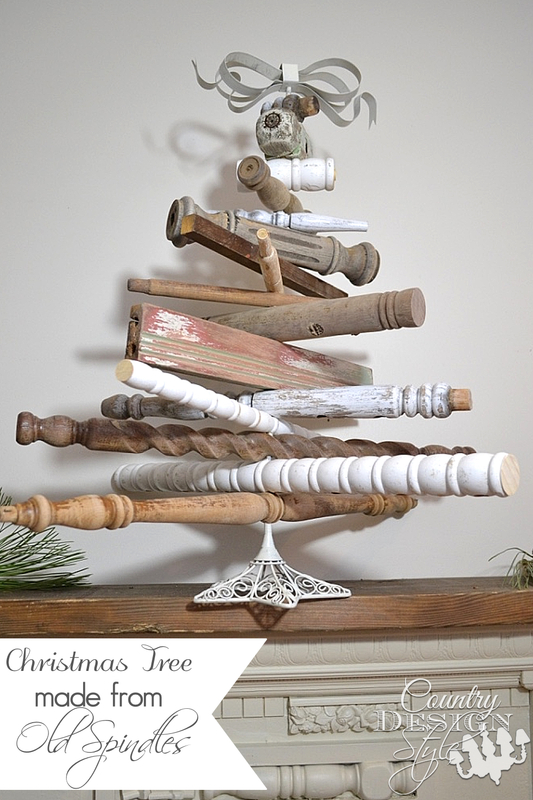 Do you like the Christmas tree with spindles displayed flat or spun around? 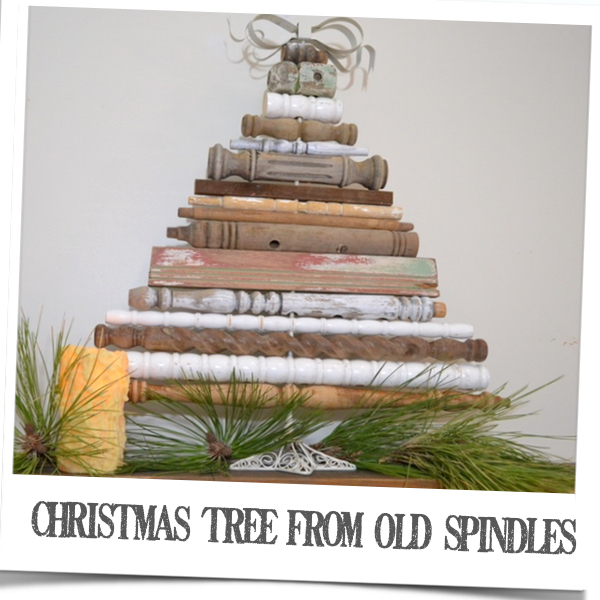 Update: On Tuesday, November 15th at 1 pm, EST, I shared how to make your own spindle tree on Hometalk’s Facebook Page. It was a “LIVE” broadcast! Above is a “speedy” video I made after the live demo. If you have an hour to waste…you can watch the LIVE broadcast here. Please let me know which tree you like the best. 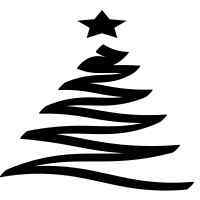 Love this Christmas tree!! How awesomely creative!!! Love it! I’m already collecting green kitchen tools for to make my own tree, now I’ve got to find a base for a spindle tree (I think I have enough spindles). You’re keeping me busy. I like it both ways–flat or spread out. Just plain awesome. 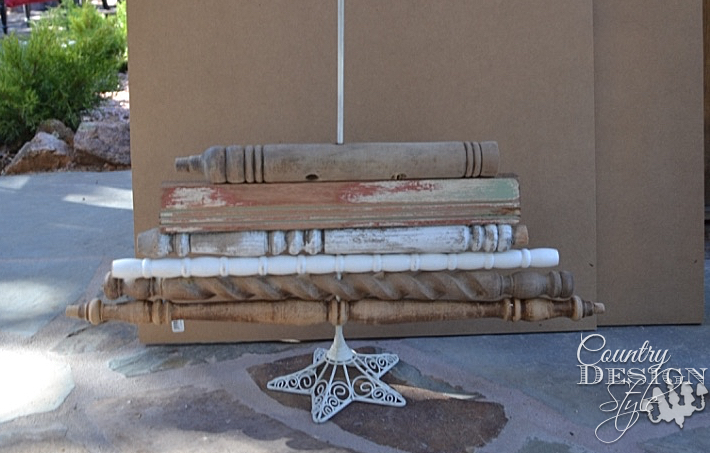 What a clever repurpose Jeanette – so much cuter now. I like it both ways but I’ve got to say my favorite is with them spun around. Lol! Each day I’ve been changing them. That is so cute! Good idea for putting a reminder on your phone…I may have to steal that idea. The tree looks good either way but I love it flat! 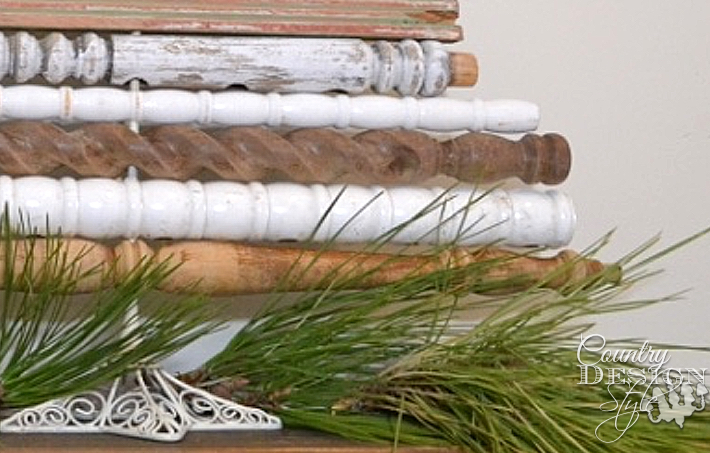 The metal tree is the perfect base for the spindles. Nice! Thank you Cecilia! I like it flat best too! It like it’s hair is combed! Andi, it is amazing how we can forgot stuff. I’m learning to use reminders for most of life! Oh Jeannie, this is SO STINKIN’ ADORABLE!!! ? 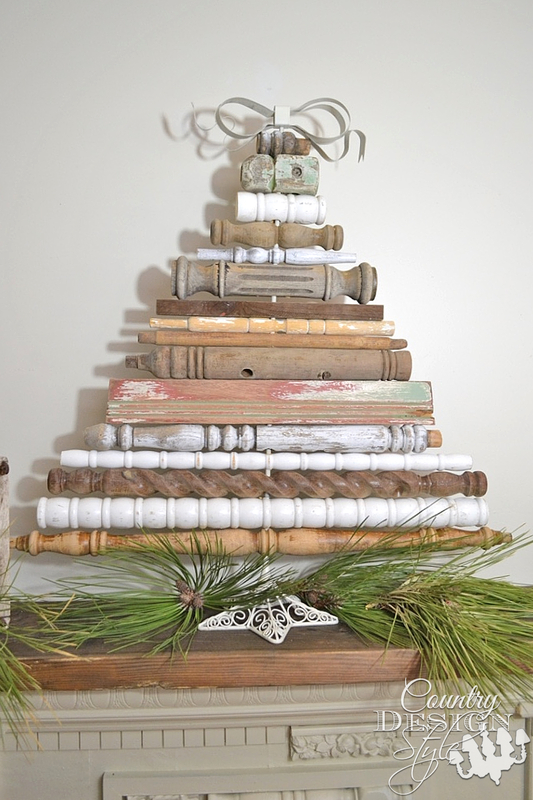 I love this so so much, that I’m gonna make one too! I think I prefer the flat look, but it works both ways. ? 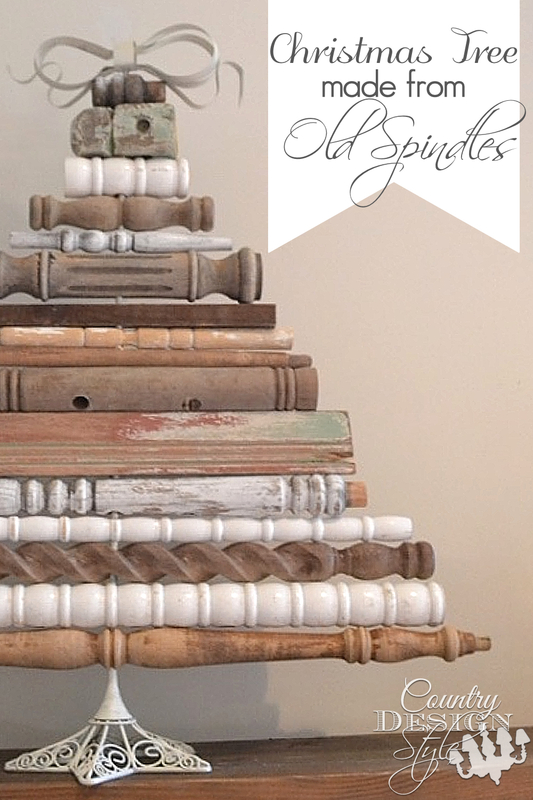 I have some spindles I didn’t know what to do with..yay! Jeannette…sorry I called you the wrong name!! Eeeek… ? Super cute Jeanette! Love the ribbon topper too! Thank you Anne, I am glad I added the topper. Lol! Chris, It’s amazing what I find around here that was lost for years!